All Florida Paper has implemented a new project management program to further improve the company’s operations and efficiency – this new program is called Wrike. We began rolling our this software program in April 2015 with our accounts receivables department, and it is steadily spreading throughout the company. 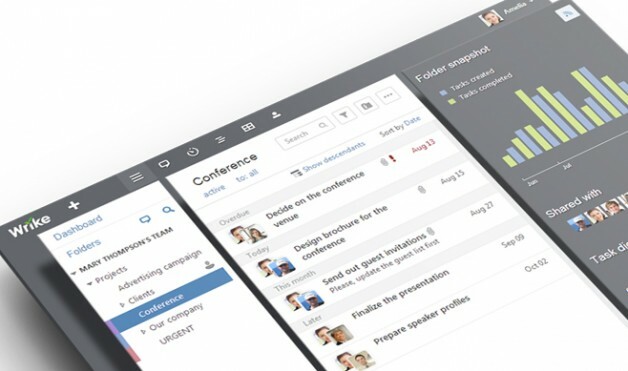 In brief, Wrike is the very best in cloud based task and project management software. The key to All Florida Paper using Wrike lies in the efficiencies that it helps to implement. The vast majority of daily departmental tasks are being done within Wrike, and it’s being used as a repository of information that is easily searchable. All of the departments benefit from using Wrike, as it helps save a large amount of time due to having one place where everything is being held. This new software will also help All Florida Paper with accountability. Once a task is created, it is assigned to another person and it then begins its journey through the workflow dedicated to the particular type of task that was created. Accounts receivables has been impacted the most by using Wrike to this point, as it has amassed more than 300 tasks in the short month that it has been fully implemented. One of the absolute biggest advantages to using Wrike is the amount of paper that it has saved All Florida Paper. Because documents are attached to a task in Wrike instead of being printed and handed to another person, All Florida Paper’s operational efficiency, and saving of paper have increased immensely over just the last month. Furthermore, management is able to see where any task is located in the workflow at any given point in time.